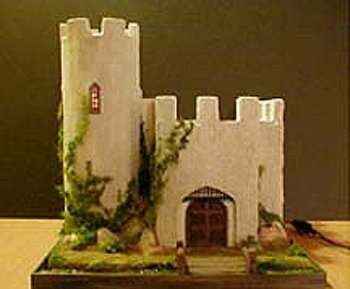 Includes a two story castle plus a round tower, brick flooring, resin fireplace, bridge and doors. A faux iron gate is included to go above the front doors. Directions are included to make the glowing embers and the wall sconces. Comes with complete electrifying instructions. All parts are laser cut or made of resin.